The amount of 5 USD has been withdrawn from your account. Accounts: U4222871->U17307094. Memo: Shopping Cart Payment. Deposit to CRYPTO AFRICA LTD User nelomota.. Date: 10:28 26.03.19. Batch: 252678929. The amount of 0.43 USD has been deposited to your account. Accounts: U17307094->U4222871. Memo: API Payment. Withdraw to nelomota from CRYPTO AFRICA LTD.. Date: 12:59 26.03.19. Batch: 252700088.
la misma pregunta se sabe de que pajaro es esta? The amount of 0.64 USD has been deposited to your account. Accounts: U17307094->U4222871. Memo: API Payment. 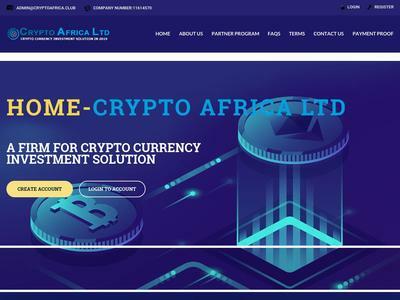 Withdraw to nelomota from CRYPTO AFRICA LTD.. Date: 16:23 26.03.19. Batch: 252734352. The amount of 0.66 USD has been deposited to your account. Accounts: U17307094->U4222871. Memo: API Payment. Withdraw to nelomota from CRYPTO AFRICA LTD.. Date: 17:45 26.03.19. Batch: 252745566. The amount of 0.3 USD has been deposited to your account. 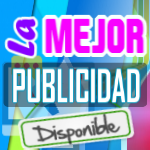 Accounts: U17307094->U4222871. Memo: API Payment. Withdraw to nelomota from CRYPTO AFRICA LTD.. Date: 12:37 27.03.19. Batch: 252846312. The amount of 0.3 USD has been deposited to your account. Accounts: U17307094->U4222871. Memo: API Payment. Withdraw to nelomota from CRYPTO AFRICA LTD.. Date: 16:45 27.03.19. Batch: 252888153. The amount of 0.36 USD has been deposited to your account. Accounts: U17307094->U4222871. Memo: API Payment. Withdraw to nelomota from CRYPTO AFRICA LTD.. Date: 14:55 27.03.19. Batch: 252868531. The amount of 0.45 USD has been deposited to your account. Accounts: U17307094->U4222871. Memo: API Payment. Withdraw to nelomota from CRYPTO AFRICA LTD.. Date: 20:25 27.03.19. Batch: 252908303. The amount of 19.24 USD has been deposited to your account. Accounts: U17307094->U6430950. Memo: API Payment. Withdraw to 14monitor from CRYPTO AFRICA LTD.. Date: 22:33 27.03.19. Batch: 252918079. The amount of 2.1 USD has been deposited to your account. 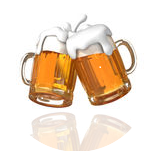 Accounts: U17307094->U4222871. Memo: API Payment. Withdraw to nelomota from CRYPTO AFRICA LTD.. Date: 10:04 28.03.19. Batch: 252972324. The amount of 2.04 USD has been deposited to your account. Accounts: U17307094->U4222871. Memo: API Payment. Withdraw to nelomota from CRYPTO AFRICA LTD.. Date: 11:20 29.03.19. Batch: 253120684. The amount of 12.4 USD has been deposited to your account. Accounts: U17307094->U6430950. Memo: API Payment. Withdraw to 14monitor from CRYPTO AFRICA LTD.. Date: 00:13 30.03.19. Batch: 253197969. The amount of 2.25 USD has been deposited to your account. Accounts: U17307094->U10147951. Memo: API Payment. Withdraw to jhoan from CRYPTO AFRICA LTD.. Date: 09:22 31.03.19. Batch: 253333484.